Synonymous with elegance and the best of British heritage, Truefitt & Hill will once again be at Concours of Elegance this year to relaunch a new product with the help of Morgan Motors. 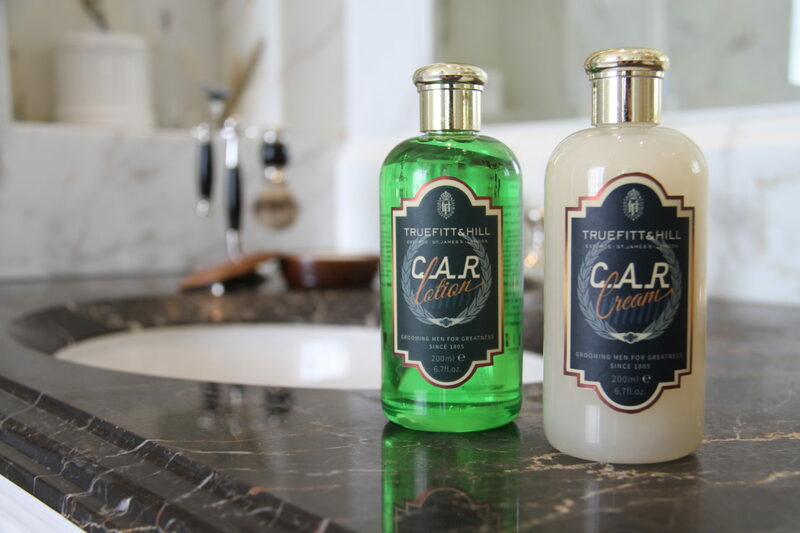 Truefitt & Hill and their ingenious team of designers have recently worked closely with Morgan Motors in relaunching its C.A.R Cream and C.A.R. Lotion, two of Truefitt’s original and iconic hair products. of excellence from Morgan’s exquisite open-top vehicles to Truefitt’s extensive range of grooming essentials. The luxury barbers and grooming establishment will be offering complementary wet shaves at the event for discerning visitors to experience one of the finest grooming services. Originally created in early 1900s for the Royal Automobile Club in Pall Mall from where it took its name, C.A.R Cream and C.A.R. Lotion had the green light straight off the starting line and became an instant winner. Over a century later, Truefitt & Hill are proudly partnering with Morgan Motor Company, to pay tribute to these early motoring days. Back in 1900’s, life on the open road was literally hair-raising! Behind the wheel of the latest fad, the ‘drop-head’ motor, later to be known as the familiar convertible, drivers were quickly discovering how this new exposure to the elements affected their immaculate appearances. With open-top cars bringing a new sense of speed, an unkempt coiffure posed a challenge. It was these gentlemen who saw the need for grooming products of the highest order to maintain both, their on-and-off-the-road appearance. In their droves, wearing off-white kid-skin gloves, silk scarves and the very latest Savile Row attire they streamed to Truefitt’s for hair preparations to enhance their sartorial elegance with a carefully-honed and exacting hair style.